Check out our complete wildlife control services. 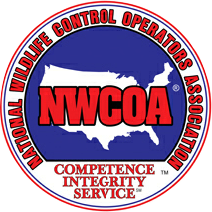 We are the leader in Wildlife Control Services. Find out more about wildlife control services we provide. We have been proudly providing Virginia with Effective Wildlife Solutions since 1993! Animal Control Solutions is a Complete Nuisance Wildlife Company that specializes in the removal of all types of Virginia's nuisance animals and pest control. We specialize in Wildlife Management, Wildlife Control, Animal Removal and Animal Damage Repairs. We provide both Residential and Commercial services throughout Virginia areas. We are a full service company that resolves all types of infestations, damages, and problems caused by Bats, Raccoons, Squirrels, Birds, Skunks, Snakes, Opossums, Moles, Beavers, Muskrats, and many other wildlife species of Virginia. We provide complete services to remove and get rid of nuisance wildlife. Common residential services include excluding squirrels in attics, bats in attics, raccoons in chimneys, removing birds in vents, mole trapping, dead deer removal, skunk trapping, bees nest removal, removing snakes in house, basements, and many other trapping and exclusion services throughout Virginia. Why Choose Animal Control Solutions to Repair Animal Damage? First of all, we understand that you do have a choice. We'll never pressure you into using our animal damage repair and exclusion services. You can hire a local carpenter, roofer, or other tradesman. You can even do the work yourself if you like. But when urban wildlife exclusion is done improperly or incompletely, your home remains at risk for structural damage, fires from animals chewing through electrical wires, and disease-causing animal-borne pathogens. That's why it's important to choose the right company for the job the first time. We provide COMPLETE SOLUTIONS to all types of nuisance wildlife problems and have been safely providing wildlife removal and wildlife control services throughout Virginia since 1993. 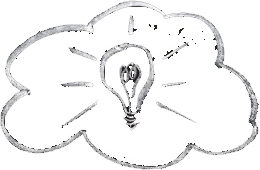 Rest assured we have the knowledge and experience to ge the job done right the first time! We provide Wildlife Control services throughout Northern, Central and Shenandoah Valley Virginia including the following areas. Alexandria, Annandale, Arlington, Ashburn, Berryville, Bellehaven, Burke, Bristow, Burke, Centreville Chantilly, Dulles, Fairfax, Falls Church, Fort Belvoir, Fredericksburg, Gainesville, Great Falls, Groveton, Herndon, Lakeridge, Leesburg, Manassas, Marshall, Mclean, Mt Vernon, Reston, Oakton, Rose Hill, Springfield, Stafford, Sterling, Tysons Corner, Vienna, Warrenton, Wodbridge. Ashland, Bellwood, Bensley, Bon Air, Chamberlayne, Chester, Chesterfield, Doswell, Glen Allen, Goochland, Hanover, Henrico, Highland Springs, Lakeside, Laurel, Manakin Sabot, Mechanicsville, Midlothian, Moseley, New Kent, Powhatan, Providence Forge, Richmond, Ruther Glen, Sandston, Short Pump, Tuckahoe, Wyndham. Barracks, Charlottesville, Culpeper, Crozet, Elkton, Front Royal, Gordonsville, Grottoes, Harrisonburg, Luray, Lynchburg, New Market, Orange, Ruckersville, Shenandoah, Sperryville, Standardsville, Staunton, Stevens City, Strasburg, Unionville, Waynesboro, Weyers Cave, Winchester, Woodstock. 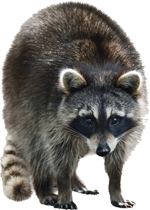 Animal Control Solutions provides services to remove all types of nuisance wildlife animals such as Bats, Birds, Beavers, Bees, Dead Animal Removal, Moles, Muskrats, Opossums, Raccoons, Snakes, Skunks, Squirrels, and pest control services. Services to Remove of All Types of Nuisance Wildlife.. Complete Services to Repair Damages Caused by Animals such as Bats, Birds, Squirrels, Raccoons and other wild animals. Disinfect ion and Deodorization of Contaminated Attics.. Installation of Blown, Batted and Spray Foam Insulation.. Specializing in all types of services to remove animals and repair damages caused by nuisance wildlife. Complete Commercial Services provided including Bird Proofing. Complete Wildlife Control Programs to control birds, beavers, muskrats, moles and more. As the weather gets warmer the birds are starting to nest. Commonly birds will build nest in all types of vents, including microwave vents, exhaust vents, and dryer vents. We provide complete solutions to remove birds from vents, nesting material and install bird guards to prevent future nesting from occuring. Call today for complete bird removal services! We provide wildlife control services throughout the State of Virginia. For more information on specific locations. Visit our Service Areas page. Bats, Squirrels, Raccoons, Birds, Flying Squirrels, Mice, and Rats. Removal of Birds in Dryer Vents, Microwave Vents and Bird Nest Removal. Removal of Snakes in Houses, Basements, and Garages. We perform SAFE, HUMANE, EFFECTIVE Wildlife Removal and Wildlife Control Services! © Copyright 2014 - 2018. All Rights Reserved Animal Control Solutions, Inc.